The pretty market town of Bakewell in Derbyshire is the only town in the whole of the Peak District National Park and is home to far more than just its famous pudding. 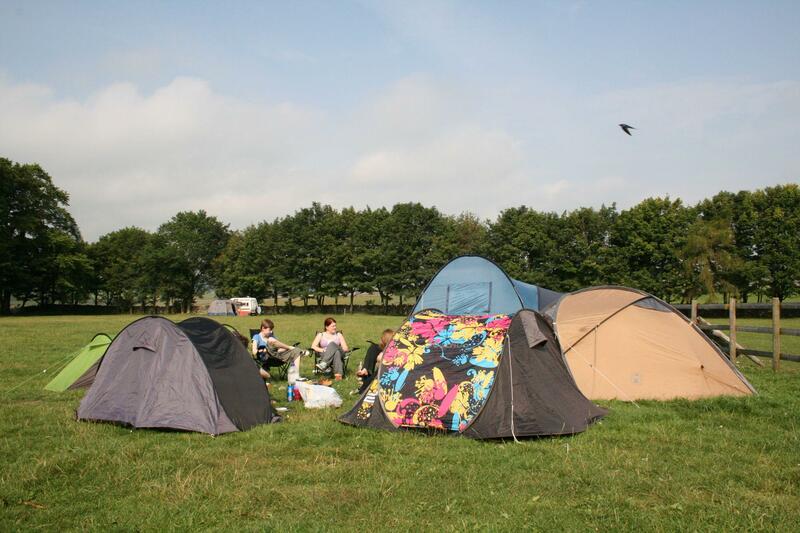 Along with 12th-century Haddon Hall, nearby Chatsworth House and the award-winning Thornbridge Brewery, the town and its surroundings also play host to a number of excellent campsites. 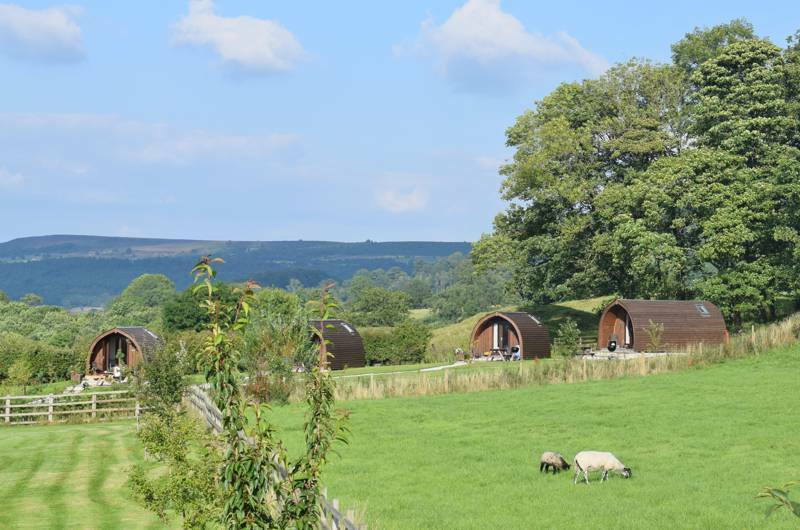 If you’re looking for a taste of the Peak District, choose one of our Bakewell camping or glamping sites. You’ll be in for a treat as only the very best make the cut for the Cool Camping shortlist. If you’re planning a holiday in the Peak District, Bakewell is a great place to consider as a base. As the only town in the national park, it’s a hub of independent shops and eateries where you can stock up on camping supplies and refuel with a sticky Bakewell pudding. But just because it’s the busiest part of the Peak District, doesn’t mean it’s any less picturesque. Situated on the banks of the River Wye, its stone buildings, medieval arched bridge and weekly market will have you reaching for the camera. 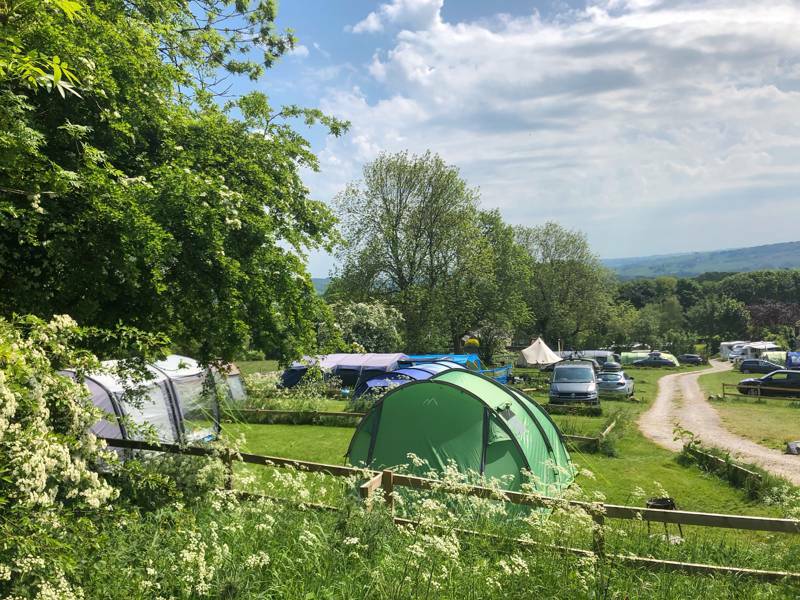 Campsites in Bakewell and the surrounding countryside also put you within easy reach of one of the Peak District’s most-visited attractions, Chatsworth House, seat of the Duke of Devonshire. 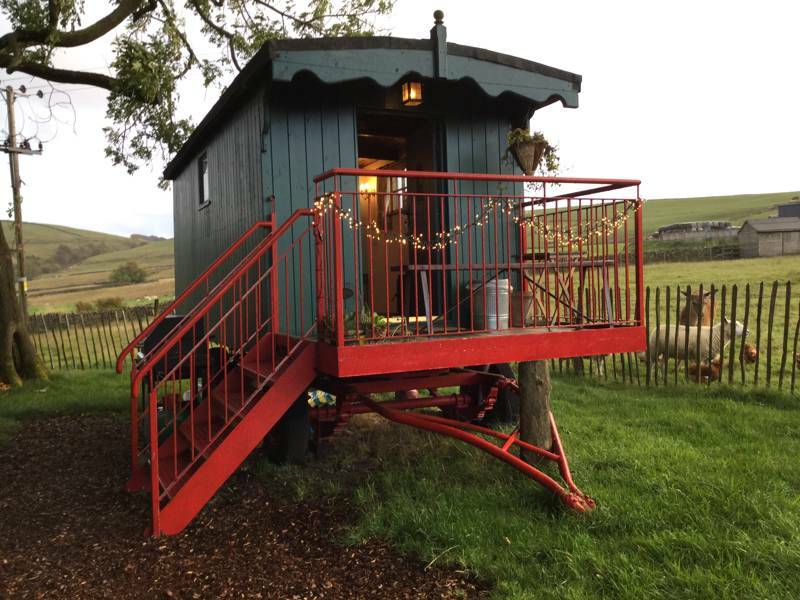 Of course, the best attraction of all is the stunning countryside that surrounds everything including the awesome camping and glamping sites we’ve found in the area. The Peak District was the UK’s first national park and has been attracting outdoor lovers since they established the right to roam here back in the 1930s. 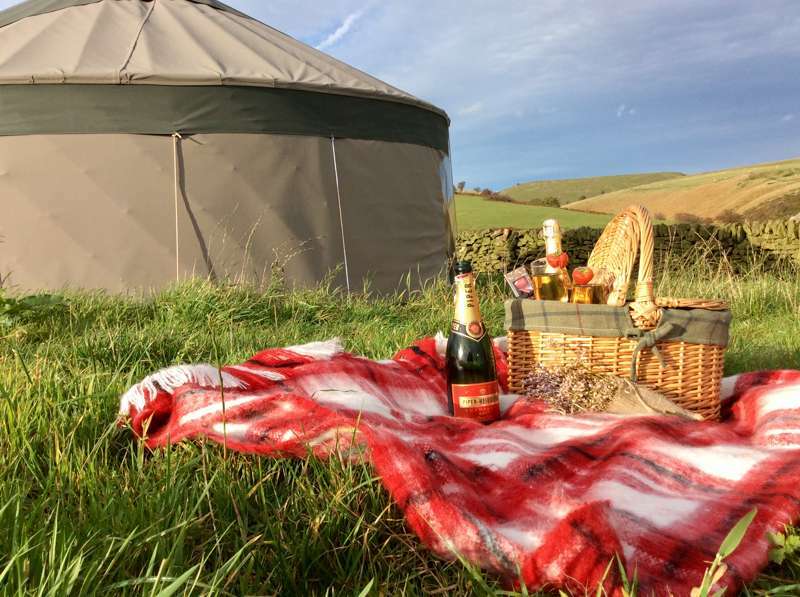 As a result, it’s no surprise that there are lots of great places to stay here from simple stone-walled meadow camping sites to modern, luxury glamping sites. Bakewell is well placed for exploring the Peak District’s 555 square miles. The Chatsworth Estate with its magnificent house, gardens and farm is within five miles of the town. Medieval Haddon Hall is even closer and also open to the public in summer. Exploring the Peak District beyond the town is easy with almost unlimited opportunities for walking and cycling on open-access land and footpaths. The Monsal Trail, a former railway line, offers a family-friendly and traffic-free route for walkers, cyclists and horesriders. Further afield, you can head south for riverside walks from Dovedale or north to climb up Mam Tor and Stanage Edge. You can explore pretty villages in the Hope Valley and head underground in to caves and caverns to explore the area’s geology from beneath the peaks. Back in town, Bakewell itself has a Monday market, a small museum and pleasant walking by the River Wye. A ten-minute walk from town takes you to the Thornbridge Brewery where you can visit the tap room and join brewery tours. And it’s almost gone without saying that during any Bakewell camping holiday, you really ought to make a trip to the local bakery to try the town’s most famous export, its self-named pudding, too. Bakewell Derbyshire Haddon Hall Chatsworth House Peak District National Park campsites campsite camping caravan park holiday campervan at Bakewell Camping, The Derbyshire town of Bakewell – the only market town in the Peak District – makes the perfect centre-point in the national park and the ideal base for a camping holiday. 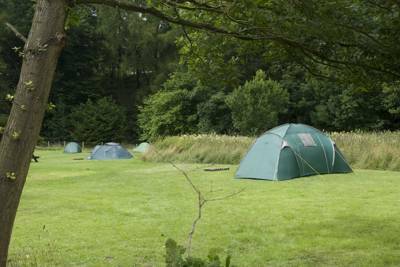 Find the best Bakewell campsites here, with Cool Camping's curated collection.